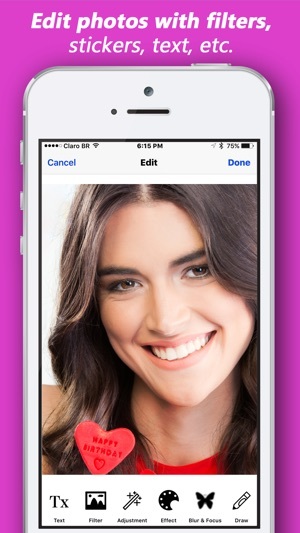 Create fun movies and slideshows with your pictures and music easily. Personalize your video with amazing free templates and songs. 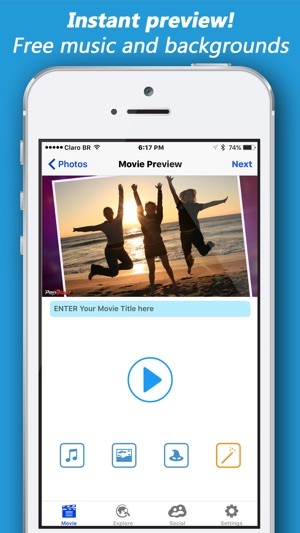 See your movie preview immediately and unleash your photos into motion art to share with friends, family, or the world. Watch shared movies in a PepBlast feed, follow your friends easily, allow others to follow your stream, and experience trending PepBlast movies. * Photo Edit: filters, effects, stamps, text, etc. 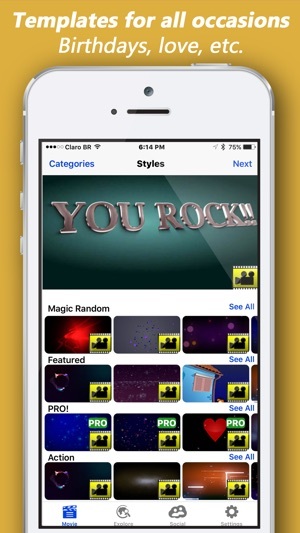 This Movie Maker of Slideshow with Music features PRO paid subscription plans that gives you access to selected styles, backgrounds and songs, in addition to create movies with more than 15 photos - subscription does NOT remove the logo. If you don't want to pay the PRO subscription, you can still make videos up to 15 photos, use over 1000 free styles, 1000 free backgrounds, and 1000 free songs in your movie. When getting a PRO subscription, payment will be charged to iTunes Account at confirmation of purchase. The subscription automatically renews unless auto-renew is turned off at least 24-hours before the end of the current period. Account will be charged for renewal within 24-hours prior to the end of the current period. Subscriptions may be managed by the user and auto-renewal may be turned off by going to the user's Account Settings after purchase. Any unused portion of a free trial period, if offered, will be forfeited when the user purchases a subscription to that publication, where applicable. When your photos are uploaded for movie creation, they are automatically posted to your PepBlast photo account (pic.pepblast.com) in public or private photo albums (depending on your settings), in addition to creating a unique PepBlast webpage for your movie with a secret id (which can be shared or not). 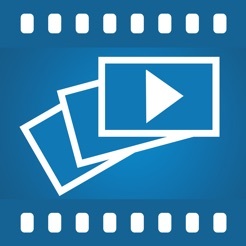 For each slideshow movie, you can decide to keep it private (Audience "Me") or share with the world (Audience: "Public"- movie will appear in your "Last Movies" webpage and photos will appear in your "Public Web Albums" webpage). Bring on your personal talent and make unique videos with over thousands free styles, backgrounds, and songs for your pic collage. We cannot wait to see your amazing movies and slideshows with music created with this exciting movie maker! Performance improvement and minor bug fixes. If you have suggestions for the app, please write a review. Thanks! 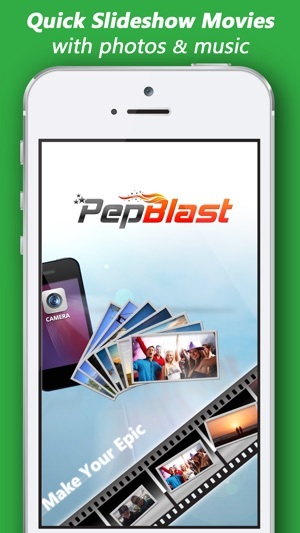 App creates amazing slideshows in just a couple minutes with your favorite songs or free pepblast songs. I really like that templates are included to help in the process. It makes everything so easy. You just choose a certain topic and here you go - the slide show video comes up completely pre-made for a quick video. It is so cool! Then, after watching the slideshow video, app sends the pictures to the cloud, and somehow it is created to share in social networks. You can download the final slide show movie and share in Instagram for example, but it works best if you intend to share the picture slide show video with music in Facebook or Twitter, or even copy and paste the photo movie url link in What's app or something like that. That is actually great, because my friends do not need to install the slide show app to see the video. I was able to make a slideshow/movie in just a few minutes. The software produced a show which was complete with transitions, music, and a title slide. With the click of an available icon, I sent the show as an attachment via email and by clicking another icon, I posted to Facebook. Construction of my second show took about half as long as the first. The learning curve for this impressive app is short. I intention is to continue using the app to mostly produce Facebook features, but creative ideas are popping into my head!